You know what?First of all i want to thank you all , because YOU inspire me to make music ! i send you much love from here to there ! TAKE CARE, and THANK YOU AGAIN ! dj composer or more exactly « chercheur », life lover passionated autodidact i wish to SHARE music with YOU to dance or think... i love radio, voices, noises of the city and experimentations. i like the mike to speak, make spoken-words or sing .. So ! just be welcome ! My music has no format, no precise concept except may be the one to be composed in a LIVE way, experimenting and searching for the good sound and sometimes making it born ! NO SEQUENCE ONLY PLAY! i milit for DETROIT TECHNO, DEEP TECHNO , AMBIENT & EXPERIMENTAL, CONTEMPORARY MUSIC. CLASSIC MUSIC & JAZZ, that i love to mix with TECHNO take part of my panorama. I like the music that tells a story : That makes you see things , like a vision. i call it Visual Music . Some tracks are signed on this page, others not. I m "building" in my home studio, step by step a concept album. as i am Vinyl-addict, I began to dee jay in 93 and i ALWAYS PLAY VINYLS, my dream would be to be signed on a ViNYL for this !! -i know i m a serious dreamer ! but dream makes life ! As i told you before i m a radio lover, My radio show MONTMARTRORAMA began on radio23.org (usa) some five years ago and went on for 2 years on radio sensations (fr) till June 12, and WRS, french webradio. i have now a new transmission on Mondomiam, french web radio ! its about techno culture, with tracks old, or new, classic, interviews and surprises ! the transmission is called A+b=C ! its just about the mix ! in 2013, Between Roma and Paris. I created with Max Durante a concept called TECHNA : Parties about WOMEN MAKING TECHNO : women using various technologies to create their arts. Of course, TECHNA is about music but not only : painters, photographers, stylist and so on are present ! 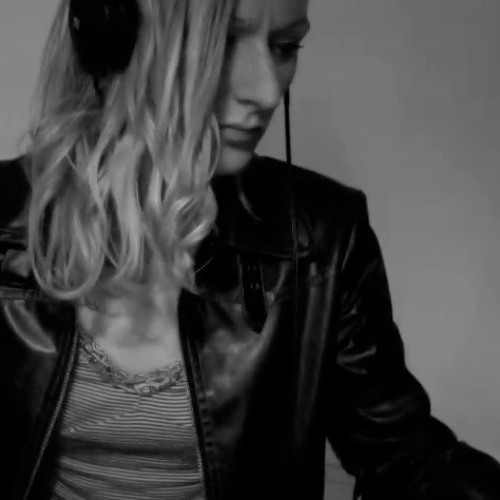 Since 2014 i m very happy to take part of FEMALE:PRESSURE, thanks to Suzanne, ELECTRIC INDIGO who contacted me recently to join this great database of women acting in the electronic and club culture as musicians or visual artists. 2015 & 2016 I have been contacted by different labels and artists to compose music... My vinyl dream might become reality .. I m closed in my studio right now ... Please, stay tuned & get ready for fresh news soon :)) thanx for reading ! thanx for listening and feeding back !! (feed backs feed creativity !) take care of you and make nice music too !!! L E T S K E E P C O N N E C T E D <3 with love, Eve. MORE THAN MANY THANKS TO YOU who believe in me, and to THE PINK FLOYD JEFF MILLS SERGE GAINSBOURG FRANCESCO TRISTANO CARL CRAIG KEVIN REYNOLDS ROBERT MOOG LEONARD BERNSTEIN WENDY CARLOS JOHANN SEBASTIAN BACH SERGUEI PROKOFIEV BRIAN ENO BERNARD HERMANN WOLFGANG AMADEUS MOZART LAURENT GARNIER ENITOKWA DEEPAK DETROIT TECHNO MILITIA DONATO DOZZY ... i consider them as my MENTORS, their ART INSPIRES ME ! and a special thanks to SOUNCLOUD who gives to the art builder the opportunity to SHARE MUSIC and PASSION with passionate people from music planet ! LOVE!